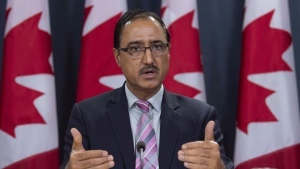 At least three federal cabinet minister were sent envelopes containing white powder, but Quebec police confirmed that powder found in at least one of those envelopes is harmless. Suspicious envelopes containing white powder were sent to at least three federal cabinet ministers earlier on Thursday. The envelopes were sent to the Quebec offices of Denis Lebel, Christian Paradis and Maxime Bernier. The powder sent to Lebel’s office is harmless, Quebec police said Thursday afternoon. Test results on samples taken from the offices of Paradis and Bernier are still pending. Police are also investigating the possibility that a fourth package was delivered to the Quebec office of Public Safety Minister Steven Blaney, CTV Ottawa Bureau Chief Robert Fife has learned. Blaney's office has been evacuated for the investigation. According to Fife, a threatening letter was found in one of the envelopes. The note read: "Conservative, Conservative you will be annihilated." One Paradis staffer was taken to hospital from his office. It is not known at this time why the staffer was hospitalized or what the white powder is. Lebel acknowledged that his office received a "suspicious package" Thursday morning. "These actions are taken very seriously," Lebel said in a statement. "The safety of Canadians is a priority for our government. There can be no doubt that we will not be intimidated." Lebel is Canada’s minister of Infrastructure, Communities and Intergovernmental Affairs. He is also minister of the Economic Development Agency of Canada for the Regions of Quebec. Paradis is minister of International Development and Minister for La Francophonie. Bernier is the minister of State for Agriculture and Small Business and Tourism. 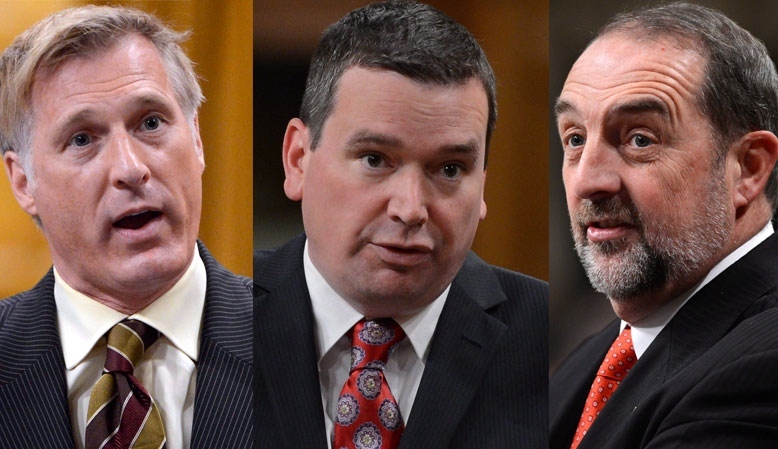 Cabinet ministers Maxime Bernier, Christian Paradis and Denis Lebel are seen in this compilation image.